There has been little down time for the Urban Wood Network. Fresh off the heels of its well-received “How-to-Do Urban Wood” webinar series, UWN is organizing a special presentation focused on the new Urban Wood Toolkit assembled by our colleagues in Michigan. The free 90-minute webinar is scheduled for 1 p.m. EST Wednesday, Jan. 30. The Urban Wood Toolkit provides a comprehensive checklist for implementing or expanding an urban wood use network. Kudos to Jessica Simon, Margaret Miller and everyone else who participated in creating this marvelous series of documents. Read this month’s newsletter to learn how to register for this special webinar presentation. Read how Hoppe Tree Service of Milwaukee has taken a full-circle approach to urban forestry by launching the Urban Wood Lab, a retail outlet for lumber, slabs and wood products created from urban tree removals. 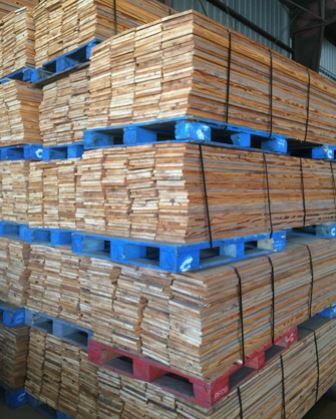 Eutree, an urban sawmill and lumber supplier based in Villa Rica, GA, was honored by Green America with a People and Planet Award. Sawmilling “out-of-shape” logs to improve yield is the theme of a 2014 report available from the U.S Forest Service, Northern Research Station, in Princeton, WV. It’s worth a read by all of you sawyers out there. Registration is open for the Urban Wood Toolkit Webinar, scheduled for 1:00 p.m. EST Wednesday, Jan. 30, 2019. 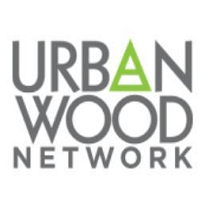 The webinar is a free 90-minute presentation of the Urban Wood Network. The Urban Wood Toolkit was created to walk users through the necessary components of building an urban wood use plan and establishing wood utilization efforts within a community. The Toolkit is designed to be used by municipal foresters, city managers, community volunteers or students and to arm them with information needed to advance their wood utilization plan. Urban forests can be sustainably managed from ‘seed to sawdust’ by capturing valuable urban forest products from urban trees that need to be removed. This webinar will show different models of full circle urban forest stewardship that are used to reclaim urban forest products from those felled trees, and what strategies have been employed to support the reclamation of those urban forest products. The Urban Wood Toolkit was written by Jessica Simons of Verdant Stewardship and Margaret Miller of Spalted Banjo Consulting. With support from the Michigan Department of Natural Resources – Forest Resource Division Forest Utilization and Marketing Program (special thanks to Dave Neumann), the Sustainable Resources Alliance and the U.S. Forest Services Northeastern Area – State and Private Forestry Landscape Scale Restoration Grant Program. Author Margaret Miller and MDNR staff will speak about the need for increasing urban wood utilization in Michigan and beyond and will walk participants through Bulletin #1. Dave Neumann, Forest Utilization & Marketing Specialist, Michigan Department of Natural Resources. Dave is a relative newcomer to the urban wood community, and has worked as a private land service forester and as a silviculturist for the DNR for 15 years before joining the wood use program. Kevin Sayers, Urban & Community Forestry Coordinator, Michigan Department of Natural Resources. Kevin has worked as the Urban & Community Forestry Coordinator at the MDNR since 2002 where he administers the state urban forestry program at the MDNR out of Lansing. Kevin is a graduate of Michigan State University (2001) with a Master’s degree in Forestry. The urban forestry program provides technical, educational and financial assistance to communities and partners throughout the state to support a variety of urban forestry activities. Prior to working for the DNR, Kevin worked in the tree nursery industry, and with the municipal forestry program at the City of Lansing. Margaret Miller, Spalted Banjo Consulting, MI. With a resume that ranges from championing the opening of an Urbanwood Marketplace within the City of Flint to chairing the City of Grand Rapids first ever Urban Wood Utilization Sub-Committee, Margaret views wood utilization as a vital management practice, obtainable to any community. As a forester and consultant, Margaret is dedicated to viewing resource management through both an environmental and anthropocentric lens. Margaret received her degree in Forest Science from Michigan State University. As a consultant, for Spalted Banjo Consulting, Margaret strives to assist all of her clients by managing their projects and resources in the most effective and sustainable manner. The Urban Wood Toolkit presentation is the latest in webinars presented by the Urban Wood Network. The UWN’s four-part “How to Do Urban Wood” Webinar Series is available for viewing on demand. Access all UWN webinar presentations. The deadly emerald ash borer has made its way to Lincoln, NE, putting up to 50,000 public and private ash trees at risk. According to the Lincoln Journal Star, the city has been bracing for the emerald ash borer’s arrival for the past three years. The wait ended when the EAB was cited within the city this fall. 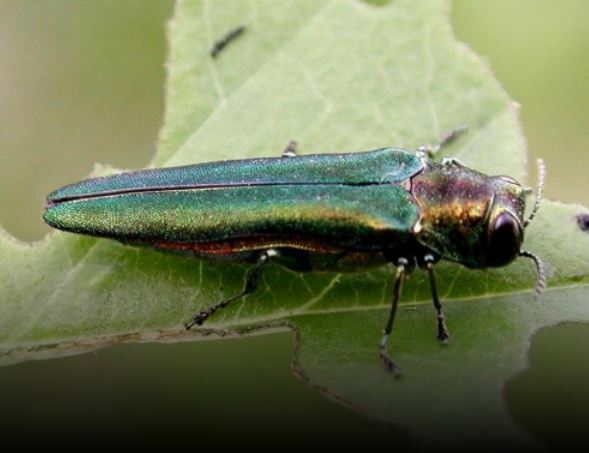 According to the Journal Star, Lincoln has developed a 15 year plan to spend an estimated $22.8 million to combat the EAB invasion and its impact on 14,000 public ash trees. The plan includes removing about 1,000 ash trees a year and replacing them with other tree species. 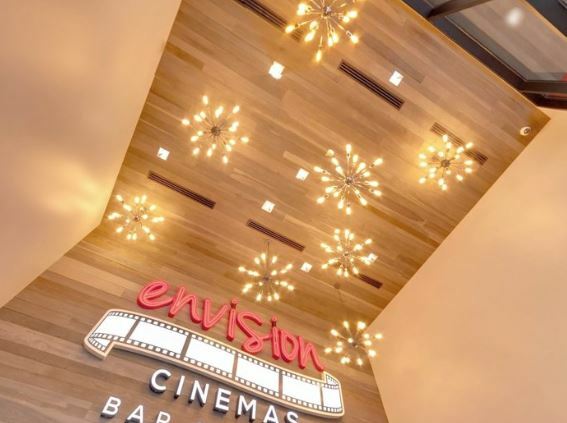 The city will spend about $10 million of the total to hire private tree care companies to remove ash trees with diameters of 18 inches or more. The city has also held public hearings to outline its plan to residents. The newspaper reported that there is concern that many residents cannot afford to remove ash trees, which pose a safety hazard, from their private property. A related article by the Journal Star focused on a pair of workshops held in late November focused on utilizing some of the ash tree removals for lumber and wood products. Alexis, IL, has become Chicago’s sister city when it comes to turning dying trees into sculptures. The Quad City Times reported that Alexis resident Brent McNall commissioned chainsaw artist Fernando “Don” Dulnuan to turn some of his ravaged by the emerald ash borer into sculptures of a bear, an owl and a wolf. 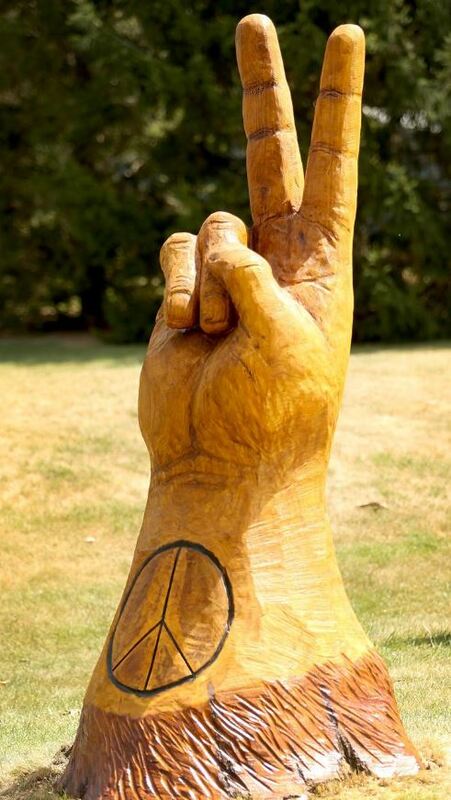 Dulnuan of Oklahoma was also responsible for carving the 6-foot-tall peace sign sculpture. For the past several years the Chicago Park District has commissioned artists to create sculptures in parks throughout Chicago as part of its ongoing Chicago Tree Project. Hoppe Tree Service of Milwaukee, WI, illustrates how a tree care specialist can branch out into producing urban lumber. That approach changed in 2014, when Hoppe Tree Service purchased a launched the Urban Wood Lab and stated milling some of the logs of those removed urban trees into lumber. The company operates a retail store catering to professional custom woodworkers, hobbyists, etc. Read the full interview on UrbanWoodNetwork.org. 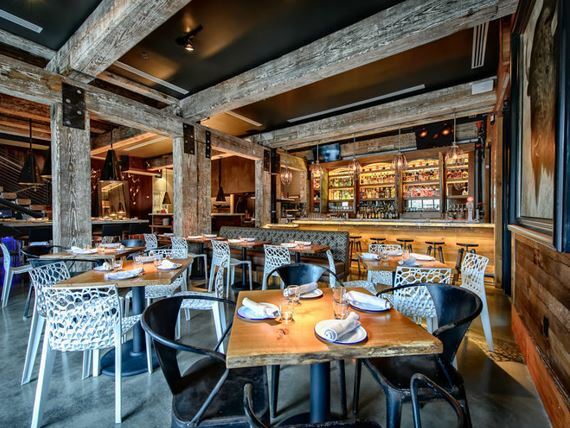 Learn more about the Urban Wood Lab. Eutree, an urban lumber business based in Villa Rica, GA, was one of two green businesses to receive the fall People & Planet Award from Green America. 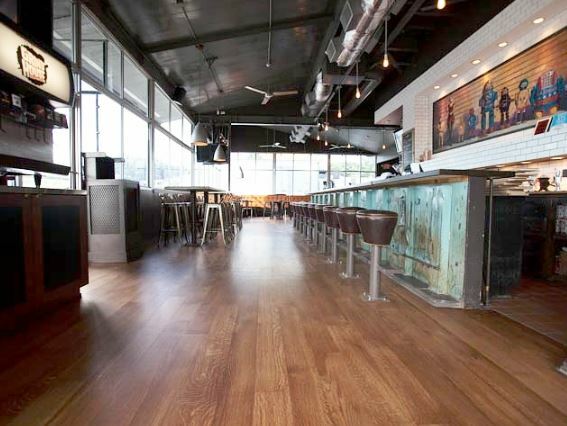 Eutree is a sawmill and lumber supplier established in 2010 to divert what would otherwise be urban tree waste into flooring and other wood products. The company plans to use the $5,000 award to install log collections containers at tree service locations so that it can more efficiently collect them to convert into lumber. The other fall award winner is Nature’s Magic, a woman-owned business in Athens, GA, that produces plant-based, non-toxic cleaners. Green America is a non-profit whose “mission is to harness economic power – the strength of consumers, investors, businesses and the marketplace – to create a socially just and environmentally sustainable society. .